I have to admit, I’m a sucker for a good oatmeal cookie. I know that there are a lot of people out there who really dislike raisins and nuts in their cookies, but I’m a fan! Today’s recipe is really similar to my mom’s oatmeal chocolate chip cookies, but has a few adjustments that help make them slightly more thick and chewy. The one main addition is an extra yolk, but also chilling the dough before baking it helps the cookies hold their shape and stay thick and chewy. The dough itself is perfectly spiced and the brown sugar really helps give these cookies the soft center and crisp edges that I love so much. If you’re feeling extra adventurous you can always add coconut or even switch out the raisins for cranberries. I will definitely be making these cookies time and time again! 1. Preheat oven to 350 degrees. 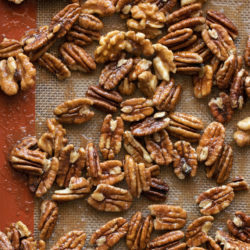 Line two baking sheets with parchment paper or a Silpat mat, set aside. 2. In the bowl of a stand mixer, beat together butter, brown sugar and vanilla for 3-4 minutes on medium-high. Add egg, mix, then egg yolk, mixing for an additional minute on medium-high. 3. 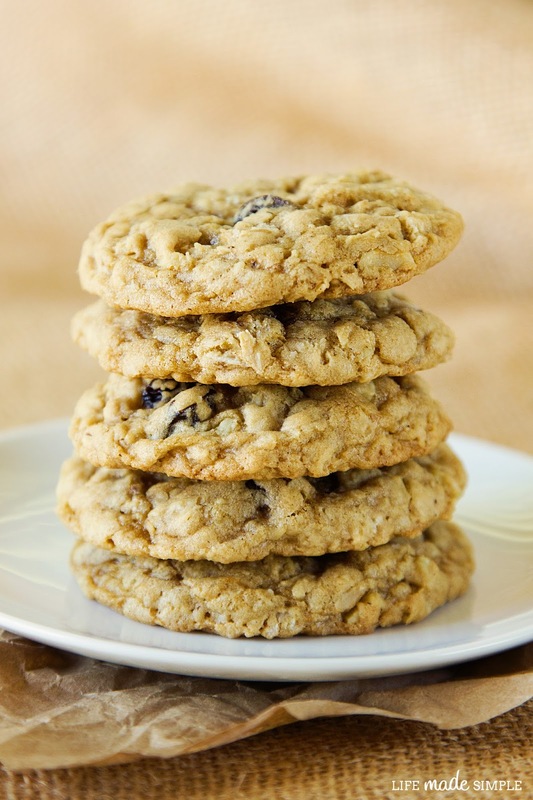 In a medium size mixing bowl, combine flour, oats, baking soda, salt, cinnamon, and nutmeg. Whisk to combine. With mixing speed on low, gradually add dry ingredients, mixing until no flour pockets remain. Remove bowl from stand and fold in raisins and walnuts. Allow the dough to chill in the refrigerator for 2 hours before baking. 4. Scoop chilled dough onto the prepared cookie sheets. Gently pat down each ball. Place in oven and bake for 10-12 minutes, or until the edges of the cookies begin to turn golden brown in color. The centers should look slightly underbaked, they will firm up once cooled. Remove from oven and allow cookies to cool on sheets for 3-4 minutes before transferring to a wire rack to cool completely. Hi! What a lovely blog! Wanna follow each other? 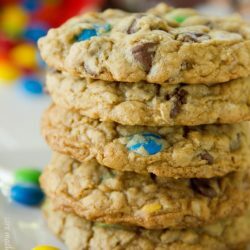 Let me know okay=), have a nice day..
Thx for the recipe,these cookies are amazing.